Caribbean Lifestyle Media-Marion Hall, better known as Lady Saw recently started to utilize her twitter page to engage with fans and promote her music. Marion a veteran in the business recently launched a Itunes App-just in time for the release of her new album due out September 7th titled, "My Way". In the exclusive Lady Saw fashion, her album release party will take place at Temptation 2.0 in Brooklyn on September 8th with music by Steelie Bashment and Friends. 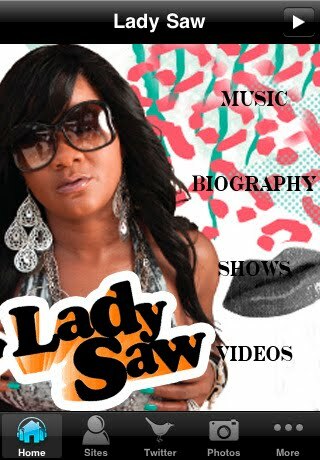 Lady Saw recently completed the video for single, "Party till December ". Watch behind the scenes footage done by our media partners Icey Jace Film Factory here. On September 7th purchase Lady Saw's My Wayon on Amazon and Itunes.